England will look to carry forward their winning momentum in the third and final ODI against India at Leeds on Tuesday with the series levelled at 1-1. 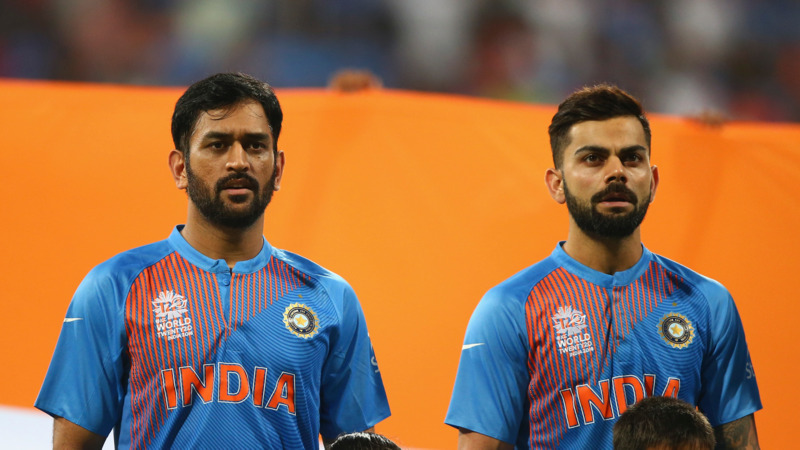 The third ODI is a virtual final and India would look to wrap up the limited-overs series against England with a win. England will be favourites after their brilliant performance in the second ODI. 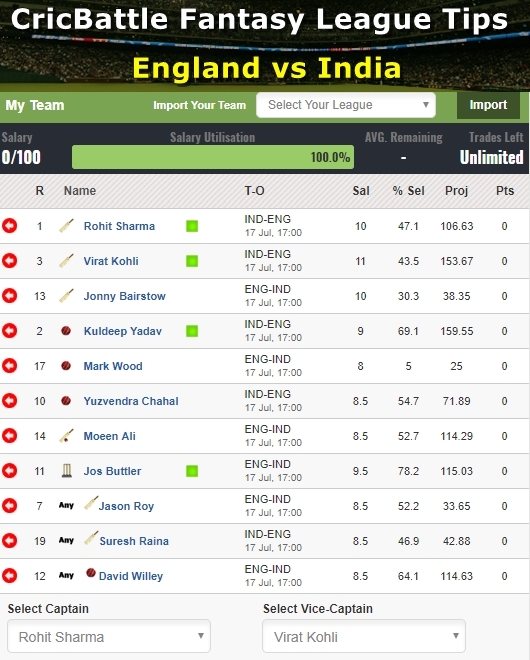 But India would come hard at England just like how they did in the third T20I in the earlier series. Best economical pick – No spinner in the world so far has troubled the English batsmen on their pitches the way Kuldeep Yadav has tormented them. He has continued to cause problems to the English batsmen with his variations and is currently the leading wicket taker in the ODI series with 9 wickets. Therefore, Kuldeep will want to continue to his superb bowling form on this tour. Top captains & vice captains – Rohit Sharma began the ODI series with a bang with an unbeaten match winning century in the first ODI at Trent Bridge, but got out cheaply in the second ODI for just 15 runs while trying a wild hoick against Mark Wood. Rohit will look forward to make up for his failure with the bat in the second ODI with a big knock, because as we all know once Rohit Sharma gets set, then no boundary is big enough for the Hitman to clear. Virat Kohli, moved back to his favorable batting position of No.3 after batting at No.4 in the T-20 series. With good knocks of 75 and 46 in the two one-day games so far, Kohli is set to bat at No.3 in the final ODI, leaving the No.4 spot to KL Rahul. Also, Kohli would look to anchor the Indian innings in the final game, as Kohli's presence at the middle is key to India's success in winning the ODI series against England. Smart pick – Jonny Bairstow has threatened in both ODIs with scores of 38 each but hasn’t been able to carry on and score big. On both instances, Kuldeep Yadav accounted for his wicket. He has lately been one of England’s most prolific run-scorers in the 50-overs format and he would definitely want to chip in with a better performance in the deciding encounter. Cautious Pick – Hardik Pandya hasn’t been at his best in the ODI series, neither with the willow nor with the leather. In the first match, he couldn’t hit proper channels with the ball and was taken for quite a few runs. 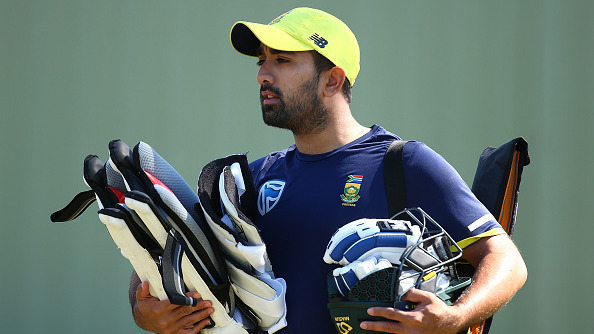 Albeit he nipped out Ben Stokes’ prized scalp in the previous match, he leaked runs at an economy of over seven and was unable to put a lid on the scoring rate.